Better than corded tools, contractors always prefer to use cordless tools while they work on their projects, and this is because cordless tools run on batteries which makes them flexible enough to do more works without immediate electrical source. Any contractor can admit that the tools used determines the number of jobs they can achieve within a specified time. The best cordless tools for contractors would have powerful motors that can work efficiently for a long time without having faults. There is no frustration more than not having the right tool for a job, which is why one of the reasonable features to look forward to when considering the best cordless tool is versatility. Multifunctional tools would be more reliable for contractors and over the years, most cordless tools have been built to function in this respect. Although there are a lot of power tool brands, with each having their own strength and weaknesses, for a contractor buying the right equipment is a business investment. Of course, there are several brands of cordless tools, but regardless of the model, before making a selection of the right package for your professional jobs, there are some factors to keep in mind. 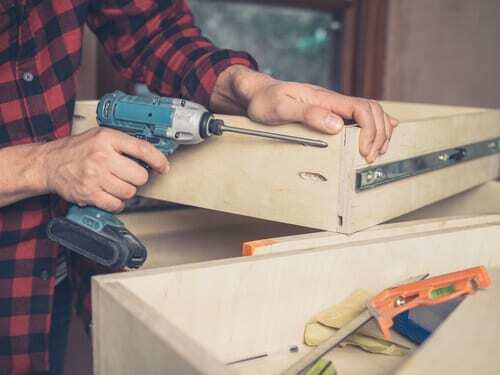 Depending on the project you are handling, you may need only a couple of drills or a circular saw, you may even require two or eight, which is why considering the tool count is essential. If your project requires only four devices, you could decide to get a cordless tool with these functions, but you should also consider your future needs before making the purchase. For example, if you need only a drill for your immediate projects and get it from an online shop without considering your next jobs where you would have to use screwdrivers –This can stress the work process. It is better to get a combo kit, where you can have more of your tools at once. A combo kit would save you the time wasted and also money spent on buying these tools individually. The battery of your cordless tool can make the most significant influence between a good day’s work and useless tool when you need it the most. Since the battery is the power source of cordless devices, then the longer it lasts, the more power your machine gets to work. Most cordless tools with combo kit are built to have an extremely long life for contractors without access to electricity; some have extra batteries for backup power in case you need to work while the other is being charged. For the best batteries, get a tool that uses Li-ion batteries. Nicad, on the other hand, loses power when it has not been used for a long time. Another consideration is power; for the kinds of jobs a contractor might have to deal with daily, a 12-volt battery would doubtfully work efficiently. Nicad, or batteries limited to 12-volt power would be suitable enough for those odd jobs around the home. To work on a real project, you should prefer to get a cordless tool with at least a standard 18 to 20-volt battery. Also check out the work time, the charging time of the battery and the availability of fast chargers before making the purchase. Apart from electrical reasons, contractors prefer to use cordless tool for their portability and the ability to work well in tight places. The cordless tools are built to carry their batteries at the base of the device and many times the higher the volt, the bigger the battery. But thankfully, there are compact drills built with batteries as good as 20 volts. Since the battery size would add to the weight and size of the tool, and sometimes you may have to work in some confined places, you should put this into consideration. Especially if you are not using the tool professionally, an 18-volt battery would most probably do all the jobs for an amateur user. Combo kits are expensive since they have unique features and a durable, and most contractors would prefer to get a combo kit at once, but considering their budget, they prefer to get each device only when it is needed. Another option is to go for one with fewer qualities that are affordable, but it is still advisable to get one that can produce a perfect job, saves your time and cost of repairs. 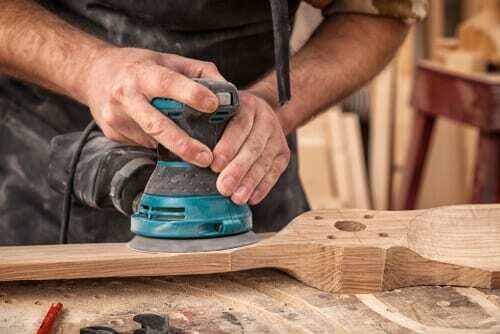 Instead of all of the hard labor works required from most contracts, most professionals have improvised the use of cordless power tools to work smartly. Amidst a lot of them, we would discuss ten of these devices. A power drill is referred to as the essential cordless tool; it remains the favorite to the modern handyman. The power drill is primarily used to make round holes or drive fasteners for woodworking, metalworking, construction, and other utility projects. A bit that defines the job to be carried out is fitted on the tool. 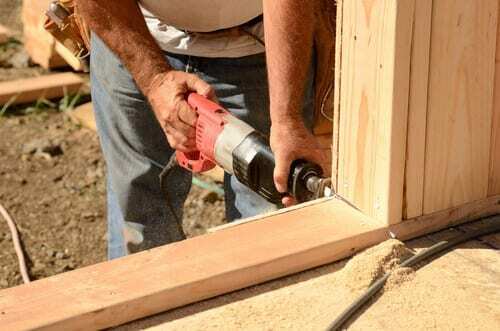 Why hand bore a hole at the rate of one per hour when you can get it done in less than two minutes using the power drill, a solid one can tackle any drilling task from small pilot hole to the large ones for passing electrical wires or driving fasteners. 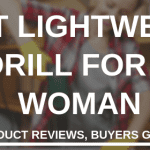 Most of the power drills offered in today’s market are the compact 12-volt tools, but there are other high-tech, lightweight, and durable cordless drills that provide much more. When making a purchase, an 18-volt drill would be more suitable for their ability to handle most of the required task. As a contractor, your tool is what you rely on, so you should rather get one that remains useful even after five or ten-year of service. Some of the reliable brands of power drills are DEWALT, Makita, Milwaukee, and Bosch; they manufacture some of the best quality 18 volts power drills for any project. The impact driver is sometimes mistaken for a hammer, impact wrench or a drill, but is not. It can serve the similar purpose of both tools. The impact driver works by delivering a downward rotational force that can drive long screws into tough materials with little effort. They create a sudden rotational burst on any surface they come across. Impact drivers function to loosen large screw or bolts and nut that are over torqued or corrosively stiff. Considering that sometimes you may want to reverse the action, they can also be used to tighten screws with higher torque than any manual screwdriver can provide. The impact driver is built to generate a large amount of torque to drive down screws and eliminate the difficulties. When you use the impact driver to strike a surface, it jabs down like a hammer and produces a turning force that acts on the work bit you attach to it. Most models of Milwaukee impact drivers remains some of the best impact drivers. Comparing the impact drivers to the power drill, they are more compact which is an advantage, but they are also more expensive and make a lot of noise. Amidst most of the power tool, the multipurpose oscillating tool is one of the smallest and often may not look much. This tool has long slender body structure with a head that can accept several types of attachments fitted in it. The attachment for the multipurpose oscillating tool would depend on the project you are working on, some the functions are sanding, grout removal, wood cutting, grinding and scraping. With an attached accessory, this tool can make some small tasks look extremely simple. It works by oscillating the attachment without raising so much dust cloud. At first, you may regard the tool as unnecessary until regular usage makes it your favorite. The first recognized makers of the multipurpose oscillating tool were Fein Multimaster; it was expensive, and the accessories were not cheap. Now it is very affordable and universal because almost every power tool company has at least one model of the oscillating tool on the market. The issue with getting a power tool immediately you hear about them is the features that consistently show up with newer models. But for the multipurpose oscillating tool, the Oscillating Interface System (also referred to as OIS), by Bosch has become a standard. Popular models like Bosch, Milwaukee, and skill directly support OIS. Even while Fein remains the first, they feature a quick changing mechanism and are also the best for sand projects for their ability to collect dust. Skil also supports dust collection. The angle grinder is standard equipment of metal fabrication shops or construction sites. It is sometimes referred to as a side or disc grinder. This device is a reliable handheld power tool for grinding and polishing. The motor of the angle grinder drives a gear head mounted on an abrasive disc at a right-angle which is replaceable when worn out. For two-handed operation, angle grinders have an adjustable guard and a side handle. Depending on the speed range, some can be used as sanders when you attach a sanding disc or a hard plastic backing pad to it. The most encouraging feature of the angle grinder its versatility, you can numerous attachments for it depending on its intended function. The types of accessories including diamond blades, grinding wheels, sanding and polishing discs and wire brushes. Even a small handheld angle grinder can be used for any project that requires grinding, polishing or cutting. Metal cleaning, cutting bars, rods and bolts, cutting tiles, stones, old mortars or concrete materials, and restoring cutting edges are some of the duties of the angle grinder in a construction site. 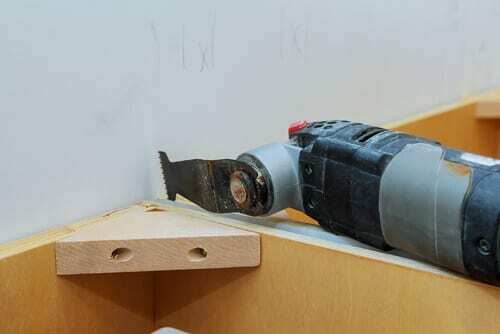 To smoothing a wooden surface, you can use a random orbital sander. It works by both spinning and vibrating in a tiny circular motion to make the surface of the wood smooth and allow you further the processing with an ultra-fine sanding to finish the project. Although it is not a replacement for the belt or wood sanders, it falls somewhere in between an orbital finishing sander and a belt sander. Compared to the orbital sander, it has a common design, rounded palm grip and compact housing which makes the random orbit sander easily confused for an orbital sander. The main difference is the round pad on the random orbit sander that moves vibrates and spins in tiny circles which makes the random orbit sanders function to for stock removal and ultra-smoothing sanding. The random orbital sander does not remove wood as quickly as the belt sander and not as simple to operate as the orbital finishing sander, but if you were to get only one sander, the random orbital is your best bet. Most models of random orbitals have a one-handed palm grip, just the way contractors like them. And some accept pressure sensitive adhesive or abrasive disc while others use Velcro disc. In surveying or constructions, the laser leveler serves a controlling tool; they consist of a beam projector which you can affix to a tripod. It dispenses a red or green beam, to ensure accuracy both on the horizontal or vertical axis. For alignment especially when laying tiles, the best tool you can use is the laser leveler. This tool guides horizontal, vertical, and diagonal orientations, so you do not have to place thread to ensure straightness manually. Even if the concept of the laser leveler started as early as the 1970s, and today they are manufactured by the most renowned power tool companies. The best models of laser levelers can shoot lasers vertically and horizontally from distances as far as 100 feet way without error. Two main types of laser levelers, the rotary laser levelers that spin the beam of light fast enough to show a 360° effect of a vertical or horizontal surface, and the tower mounted laser that used sensors for land laser leveling. Mentioning the miter saw can get you thinking of a clunky saw weighing about a hundred pounds, but there are cordless miter saws that weigh lighter than the traditional models. The issue with cordless miter saw is the batter that runs out of power too quickly, and to solve this problem most cordless miters saw have an option to plug into an electrical outlet to give you unlimited power. Most Morden miter saws are built to be small and portable with blade sizes ranging between eight and twelve inches. The miter saws can make accurate crosscut through workpieces at a selected angle. You work it by pulling the large spinning circular saw blade onto a board in a quick, controlled motion, while the workpiece is held against a fence so that there is a cutting angle between the plane of the board’s edge and the plane of the blade for precision. Even if the standard position is 90°, the angle of the blade can be changed by adjusting the fence. Also, most miter saws can allow the miter index to set angles like 15°, 22.5°, 30° and 45° with a stopper. Destruction and demolition are some of the certain duties of a contractor. The reciprocating saw is useful during remodeling, plumbing, or electrical works for their ability to effortlessly cut through most metals, wood, pipes and several other materials. While using the reciprocating tool to cut through a well, you should have a proper check to ensure you are not severing a live electrical wire or water line; to encounter both at the same time is even more dangerous. Although there are a lot of brands of models of the reciprocating saw with plenty of power, the Sawzall a brand of Milwaukee tool is commonly known for its destructive force. Some companies make their tools with handles for safety and also to ease the work process, but not all contractors consider this feature as a necessity. Milwaukee and Porter Cable are reputable brands when it comes to reciprocating saws; a decent saw would cost around $100. Also, consider the type of blades you get for your tool, the good ones should be able to handle almost any job you encounter. Blowers are not only for yard works; they help to ensure the work site is clean and accessible. They propel air out of a nozzle, the force of the wind is enough to move almost all kinds of expected debris and clean up your workspace. Not all work sites have shop vacs, so after spending hours on a job, creating wood dust and chips, you would need a blower to disperse the particles from the corners of the room, the tile grout, and other hidden places. Although the cordless blowers can get real loud when you use them, they would give you access to every part of the project site without any issue, especially if there is no electrical power source in the building. Generally, quality cordless blowers have lightweights, with battery power that can run for about an hour and may cost between $150 and $300. If your only need is a quick cut through a piece of once or maybe twice a year, a handsaw will serve you well, but to cut through thick materials, especially stacks of wood no tool compares to the circular saw. The same job that might take you hours with a hand tool would most probably take only seconds to complete with a circular saw. The most important discussion as regards the circular saw is how they are being handled. As useful as the circular saw may be, it is also the most dangerous and can easily cut through one’s skin and bone, so make sure you adhere to the manufacturer’s safety recommendations while wielding this tool. There is the traditional, and the heavy duty cordless circular saw. The initial would be a good choice for DIYers, but for contractors like carpenters who would need this tool more regularly, the heavy-duty circular saw is the best bet. They are heavier, tougher and almost impossible to handle safely with one hand, but they can cut through any material like butter. Constructors are responsible for providing the labor, materials and most importantly the equipment to carry out the assigned project, and the cordless tool provides enough advantage for any worker. Previously, most efficient tools were limited to the corded electrical powered alone, but recently modern manufacturers have built quality cordless equipment that can be used by contractors to get most of the jobs done. But one of the problems workers face is tools that are not of a good quality which is why we have listed a buying guide and discussed essential power tools any contractor would need. Apart from the tool count, portability, battery, and cost of the power tool, there are other considerations like noise and the dust they can create. Power tools run on batteries and produce lots of noise, so if you are working in a noise-sensitive environment, purchase a device with a lower sound. But again, the Bottom line for any purchasing any power tool is the function.